Vox Novus and Harvestworks invited composers and sound artists to submit recorded works as 5.1 audio 60 seconds or less in length to be included in a special 60×60 project collaboration in New York City. We received over 160 submissions, and present the finalists in an event at Harvestworks’ multichannel TEAMLab listening space. 60×60 is a one-hour-long show made by sequencing 60 pre-recorded pieces by 60 different composers, each piece a minute in length or shorter. A unique collaboration between VoxNovus / Robert Voisey and Harvestworks in New York City to create a 5.1 surround sound mix, this 60×60 presentation will be premiered at Harvestworks’ multichannel TEAMLab listening room. See the list of works below! Setting out to assemble one hour of music from the breathtaking range of submissions we received, it became clear that I had to approach the task in the same way I would create a composition. Does it have a beginning, middle and end, and possibly multiple movements? Is it organized in a non-linear or abstract way, perhaps by algorithmic means? (Organizing it in alphabetical order would been a simple example of algorithmic organization.) Or could I simply create sections by grouping all the pieces that are similar in style, instrumentation (we got swamped with works using synthesis), or even the way the composer handles spatialization? I opted for a more traditional, narrative approach, constructing the piece with a beginning and an end in mind. In fact, the "bookends" were the first pieces I chose. I then squeezed several movements in between those two bookends, some movements morphing smoothly into the next, others sharply contrasting those before or after. Finding the right combinations took time. Whether I was looking for contrast or for a smooth transition, the ending of one piece determined what I was looking for in the next piece. I have to admit that I cheated a few times when it came to pieces that were shorter than 60 seconds. Instead of starting at 0'00" and adding the silence at the end (as we announced we would do), in some cases I added silence at the beginning to make the flow to the next piece more organic and natural. Sadly, I had to reject many a good work because it simply didn't fit between other chosen pieces. I remember spending more than half an hour on one single piece alone that I couldn't find a spot for. Though I liked it a lot, however, it had a very peculiar beginning, that I was by no means able to make work in conjunction with other pieces. However, since we would have had to reject around 70 pieces anyway, I finally let it go. Let's talk about numbers here... we received 160 submissions, around 30 we had to reject because they didn't have anything to do with our call requesting surround sound works. Robert & I divided the remaining 130 submissions into approx. 40 "yes", 70 "maybe" and 20 "no" categories. As you can guess from my earlier explanation, the finalists were chosen from all of those categories, because they worked well within their surroundings (pun intended). So what do you hear during this one-hour show? There are the soft and almost inaudible works, those that work more with pauses than with sounds. Field recordings, voices singing or talking, acoustic instruments, electronics and analog synthesis - the latter often frantic outbursts of sound mass. Some works you can dance to, some you can sing to, many others not, although that's up to you, of course. Some works will sound strangely familiar until you realize they are a take on another famous work, I placed them in one of the "surprise" spots. I don't like to be too serious, so there are a couple of surprises in store for you, and maybe you can spot them when you attend one of our presentations. Since this exhibit is about multichannel sound, we chose a few works that are exemplary in terms of spatialization of sounds, while most others employ these means in a more subtle way. Everything you can do beyond stereo with 5.1 channels is there: 5.1, 5.0, 4.1 and 4.0. There is even a 3.1 work, it does spatialization solely with the center and rear speakers. If you are interested in artistic approaches to multichannel sound, come to one of our "5.1 60x60" shows at some point, or listen to our Surround Sound DVD (yes, we're producing a DVD from it). You get a good overview over the various artistic approaches to multichannel sound. As long as it fits within the 5.1 DVD standard: we can just drop the DVD in the mail in case you're interested in hosting this show on the other side of the planet. Of course, we need to discuss other things beforehand, but still - the whole show fits on one DVD. I have to thank Robert Voisey for giving me the opportunity to curate a multichannel 60x60 work for Vox Novus; our audio engineer Kevin Ramsay for working hard on assembling and organizing all the works; and Matt Fidler to assemble the video that goes along with the audio showing the titles of the work and composer's names. And of course, my most heartfelt thanks go out to all the composers who submitted their works to us. It's them who made this show interesting and inspiring. "Studies: Composition, Musicology and Electronic Music at Milano Conservatory. Collaborated with CSC Padua, LIM Milan, Experimental Studio Freiburg, IRCAM Paris, ACROE Grenoble. Teaches Composition in Music Conservatory. Now PhD at ACROE-ICA Grenoble : Physical model synthesis as tool for music composition and analysis. Organized events related with research, contemporary arts, music and theatre collaborating with Luciano Berio, Sergio Liberovici and others. Success in international composition competitions: Irino-Tokyo, Ensemblia Moenchengladbach, Bucchi-Rome, Briccialdi-Terni. Score: BMG-Ricordi and Edipan. CD : EMI, Happy New Ears, 2E2M, Datum, DDT, Folkestone Fringe. Artist in residence at La Napoule Foundation, USF-Bergen, Bogliasco Foundation, Asilo Bianco, META-Black Mountain College. Collaborates with visual artists, film and theatre directors, video makers, poets, choreographers and dancers, writers, photographs. My goal is to find new spaces and occasions for my music, in participative and collaborative situations. www.giuseppegavazza.it"
Chris Peck is a composer who often collaborates with contemporary dance and theatre artists, including David Dorfman, John Jasperse, RoseAnne Spradlin, Jeanine Durning, Mark Jarecki, Abby Yager, Ming Yang/Dance Forum Taipei, and Beth Gill. Recently he has collaborated on numerous pieces with choreographer Milka Djordjevich, including her solo at The Chocolate Factory Theater in NYC last April. Peck performs as an improviser with Crystal Mooncone along with Jon Moniaci and Stephen Rush. The trio's new album Escape Cone Listening Beam III was released in May by the Deep Listening Institute. They are planning a west coast tour for March 2014. Peck collaborated with Deke Weaver and Jennifer Allen on Land of Plenty in 2008-2010, and made music for two installments of Weaver's Unreliable Bestiary: Elephant in 2010-11 (performing in the premiere at the Stock Pavilion in Urbana as well as subsequent iterations at the Sundance Film Festival and Salt Lake Arts Center) and Wolf in 2013. Chris is currently working on several projects with Brussels-based choreographer Eleanor Bauer, including music for Midday to Eternity (US premiere January 2014 at the American Realness Festival in NYC). He is also pursuing a Ph.D. in Composition and Computer Technologies at the University of Virginia. His most recent work has developed a multidisciplinary, interdisciplinary and intermediated , exposing sculptures, video and writing for performers such as the the Latin American Quartet and the Ensemble New Mexico . He has presented his work at festivals such as: EMU Fest - Inter- national Festival of Electroacoustic of Santa Cecilia in Italy in 2009 , 10 and 11; NYCEMF 2013 - The New York City Electroacoustic Music Festival , The International Workshop on Computer Music and Audio Technology Taiwan - WOCMAT 2010 and 2012 , the International Forum of New Music Manuel Enriquez of the years 2010 , 11, 12 and 13 Spring Electroacoustic Festival of Valencia, Spain . 2010 ; Electroacoustic Spring Festival Havana , Cuba . 2010 ; 2Bienal of Composition at the University of Cordoba , Argentina 2012 , Humanities , Arts and Technology (CHAT ) Festival , 2010 University of North Carolina, USA , International Festival of the Image of the University of the University of Caldas , Colombia , among other samples in Mexico. Andrei Branea is a musician and audio programer, who's work is focused on electroacoustic music improvisation and interactive systems for art installations and dance performance. In his compositional work he seeks to draw the listener in through narrative implied by gestural play, mechanical activity or material qualities. The hyper-real sonic palette emphasizes the internal aural qualities of sound objects to harness the meaning encoded in sound. Education: BA (Hons) Creative Music Technology at Bath Spa University (UK). Tiago Morais Morgado is composer and improviser, based in Braga (PT). Through his work, he has endeavoured competing accounts in terms of bridging the viola and the laptop . As an improviser, Tiago has worked with musicians such as, Peter Evans, Fred Frith, Mark Dresser, William Parker and Jason Khao Wang, such as in the context of improvisation workshops. Tiago completed a Masters in Sonology, in the Royal Conservatory of Music of the Hague with Richard Barrett. He currently performs solo with live electronics, and with his trio with the virtuoso Baroque violin player James Hewitt and and the brazilian composer Renato Ferreira. "Xo Xinh (b. 1978) is a Vietnamese composer living in South Bay Area, California. Xinh moved to the US in 1999 to pursue a degree in Computer Information Technology, and has since been active as a composer, improviser, music educator and electronic musician. Most of his works aim to re-contextualize the essence of traditional instruments through spectral processing and interactive manipulation of the acoustic sound by the computer, as well as to explore the transformation of traditional music through the contemporary and experimental medium. His main interest and passion is to experiment the new sounds and new techniques that are able to merge the old with the new, the tradition with the contemporary, while mending the gap between them sonically and musically. Xinh's compositions have been selected to be performed in the U.S., Canada, Argentina, New Zealand, Australia, Ireland, Italy, France and Netherlands including Sonorities Festival of Contemporary Music, Australasian Computer Music Conference's Sonic Art concert, Electronic Music Midwest Festival, PNEM Sound Art Festival. In 2012, Xo Xinh received an MFA in Electronic Music & Recording Media from Mills College, California, where he studied electroacoustic composition and computer music with Chris Brown and John Bischoff." I am a senior studying at Texas A&M University in College Station, TX. I am pursuing medicine, but have also been engaged in music as a minor. I see music as a passion and more than just something I do for entertainment. Since childhood growing up in Houston, I have been exposed to diverse forms of music, especially since I have had the influence of an Indian culture as well as the American culture. In the future I plan on finding new ways to combine different styles of music and create new sounds and styles that have not yet been tried before. 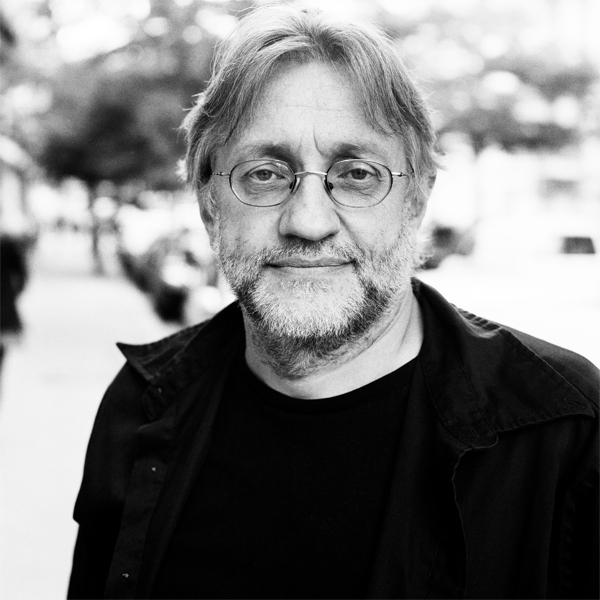 The compositions of David Jason Snow have been performed in concert by the New Juilliard Ensemble at the Museum of Modern Art in New York, the Ensemble Intercontemporain at the Centre Georges Pompidou in Paris, the American Brass Quintet at the John F. Kennedy Center for the Performing Arts in Washington, D.C., the Harvard Wind Ensemble in Cambridge, Massachusetts, the Yale University Band in New Haven, Connecticut, the Eastman Percussion Ensemble in Rochester, New York, and other artists and ensembles throughout the United States, Europe, Asia and Africa. Snow has been the recipient of awards from the National Endowment for the Arts, the Maryland State Arts Council, the ASCAP Foundation, BMI, Musician magazine, and Keyboard magazine, and has been an artist resident at Yaddo in Saratoga Springs and the Millay Colony for the Arts in Austerlitz, New York. He holds degrees in music composition from the Eastman School of Music and Yale University where his principle teachers were Joseph Schwantner, Warren Benson, Samuel Adler, and Jacob Druckman. He currently resides in New York where he is a reference librarian at the Lila Acheson Wallace Library at the Juilliard School. Jenn is a sonic artist/experimental composer living & working in NYC. She is interested in sound's ability to activate perception, heighten consciousness, and reach us on a number of levels. She works primarily with found sound, electronics, saxophone, and voice. "Daniel holds a position as a sound resident at The Edge in Brisbane (Art, technology & enterprise institute by Queensland State Library) at the moment. Daniel completed course in Music Technology in London (1999). This was later followed by bachelor thesis Virtual Music Instruments and synthesizer programming inspired by Perry Cook (University of Southern Bohemia, 2002). At this time didjeridoo came in as a physical alternative to the world of electronic circuits. His stay in Australia later on gave him enough material to complete master thesis called Shamanic Disco / From Yidaki to Didjeridoo (Charles University, 2009). Currently he is a PhD student at FAMU (Film and Televison Faculty of Performing Arts in Prague). Since his first encounter with the Australian didjeridoo, Daniel is treating this traditional wind instrument from North-East Arnhemland as a breath-controlled synthesizer. His gradual interest evolved into five months private research trip to Arnhem Land (Northern Territory), Australia in 2006. Only than he realized that its authentic version called 'yidaki' is inspiring advanced music instrument. “Although the didjeridoo is very simple music instrument (it's usually made of hollowed out trunk of a tree), didjeridoo becomes practically infinite platform for experimenting with various sound- scapes and rhythmical patterns. Use of voice, trumpet hoots and pronounced rhythms along with beatbox-like techniques and various signal processing techniques creates style of organic electronica"" – as Daniel recalls the resulting music himself. www.danielbartos.com"
Composer/producer Robert Voisey is known for creating projects to promote new music such as 60x60, Fifteen Minutes of Fame, and Composer’s Voice. The LA Times featured him as a composer who found innovative ways to get his music heard and the New York Times labeled his 60x60 Dance project “mad.” His music has been performed in more than 30 countries and presented with various multimedia including dance, video, off-off broadway theater, TV, radio, and Internet. As a multimedia artist, VJ, and electroacoustic musician, Rob’s interest in generative audio-visual systems are continually evolving in solo performances, installations and collaborations with musicians, composers and other artists. Rob has built several multimedia performance works with toy pianist/composer/puppeteer, Phyllis Chen, including The Memoirist, Down The Rabbit Hole and The Slumber Thief. These miniature theater works are built with toys and toy instruments, tiny cameras, found objects, and electronics which coalesce into an immersive and surreal microverse of sound, light and puppets. Rob is a 2010 recipient of a grant by NYSCA for Down The Rabbit Hole. Notable performance/installation venues include Roulette (Bklyn), Poisson Rouge (NYC), the Flea Theater (NYC), Listen Space (Bklyn), MCA (Chicago), Baryshnikov Center (NYC), Baby Grand (NYC) as well as in Berlin, Brussells, Taipei and Tokyo. Rob has also been active as a curator of improvised electro-acoustic music. Samuel Hertz, composer and dancer, did his undergraduate work at Beloit College, and is currently an MFA candidate in the Music Department at Mills College. His compositions and performances include a wide variety of acoustic and electronic media including sensors, electro-acoustic percussion, and instruments of his own design. Among many projects, Samuel has composed music for a re-staging of two Merce Cunningham pieces in association with members of the Merce Cunningham Dance Company, as well as created interactive sound installations for Laboratory Dancers. He has appeared as a dancer/performer in Mark Jeffery/Judd Morrissey's The Labors at the Museum of Contemporary Art (Chicago) and The Precession at HPAC (Chicago), Defibrillator Performance Gallery (Chicago) and Arizona State University, and currently performs with them as a part of ATOM-r, recently in residence at York St. John University (York, UK) and King’s College (London). I am currently living in Montreal, QC, studying electroacoustics at Concordia University. Enrico Francioni has achieved degree in double-bass and electro-acoustic music at "G.Rossini" of Pesaro, Italy. He interpreted in WP the Suite I for double-bass by F.Grillo. You works they were performed and spread: Oeuvre-Ouverte (Bourges-France), Festival cinque giornate (Milano), FrammentAzioni e Taukay Web Radio (Udine-Italy), XVII C.I.M. (Venezia), 60x60, EMUfest (Roma), ICMC (NYC), BASS2010 (Berlin), First Csound Conference (Hannover-Germany), Le notti ritrovate (Avellino-Italy), Bellagio Festival (Italy), Estudio de Musica Electroacustica (Montevideo-Uruguay), Csound Conference 2013 (Boston-USA). He is author of instrumental chamber music, theater, electro-acoustic, educational and essays (Csound Journal, Edipan, EurArte, Mondo Sonoro and Wicky). As composer and performer, he was rewarded in international competitions. He has recorded for Dynamic, Agorà, Orfeo, RSI, RAI, ROF, Agenda. He was double-bass teacher at "G.Rossini" of Pesaro, Italy and he’s involved in several educational music activities. Jamie Todd first became tangled in wires in the early 1980s with Modern Times, a synth pop project which released a 4 track cassette EP "Gasping For Culture." In 1987 Jamie joined electronic pioneers Radio Silence for their "infinity" cassette and numerous compilation releases on vinyl, cassette and CD. In the mid 1990's Jamie and Scott M2 began performing and recording as dreamSTATE. Their first CD "Between Realities" was a recording of their "Waveforms" sound installation while mounted in a holographic gallery. dreamSTATE has since released numerous other CDs including "Passage" from their "Bread and Water" installation as well as "OM" and "A Decade Dreaming" from live recordings. Around the turn of the century Jamie began releasing solo CDs as URM with "Synthphonics 1 - Darkness on the Edge of Light", "Synthphonics 2 - Hush on The Peace Terrain", "Shadows of Light" and "Stratification". A discreet 5.1 mix of "Shadows of Light" was used on the "luminations" video with General Chaos Visuals. Jamie also records and performs with the improvisational projects NOiNO and SADU. Jamie and Scott have also been presenting THE AMBiENT PiNG concert series since the last century. Jason Hoffmann is a composer and bass player now residing in Pittsburgh, PA. Jason was in U.S. Army’s band field as a bass guitarist for over 11 years. Jason even deployed in support of O.I.F. II, Operation Iraqi Freedom II, with the 1st Infantry Division as a bands person. After honorable leaving the Army, Jason has been working on his undergraduate degree, Music Technology/Electronic Composition. Kevin Ramsay is a Brooklyn based composer, guitarist, and audio engineer at Harvestworks. Nathaniel Goossen is New York City based composer, DJ, and audio engineer at Harvestworks. Steve Bull is a mixed-media technology artist and entrepreneur whose practice includes extensive software engineering experience. For the last ten years he has created location-specific narratives and games that explore the social, technological, and creative possibilities of cell phones. Bull received grant to create Cellphonia from NYSCA in 2005. Scot Gresham-Lancaster is a composer, performer and instrument builder. Currently teaching Sound Design at ATEC UT Dallas, his recent work at IMeRA is a 2nd order sonification of data sets. With HUB he is an early pioneer of "computer network music" and cellphone operas and "co-located" international Internet performances. Matt Fidler is a musician, audio engineer, and radio producer working in public radio in New York City. Raised on traditional classical music as well as classic rock and blues, Matt learned to embrace technology as a way to transform every day sounds into music while he was studying recording arts at California State University, Chico. There, he realized, the only thing that differentiates music from noise is the brain. This is how Matt regained his sanity after working in a noisy and distracting environment in his “home studio” in the loud neighborhood of Hell’s Kitchen. You can listen to more of Matt’s work on his band’s website billyandthefid.com or tune into WNYC Public Radio at 93.7FM or 820AM. Nicolas Marty is a PhD student at the Université Paris-Sorbonne, where he studies the listening and cognition of acousmatic music(s) in their relation with the experiencing of time by listeners. He aims to develop (at some point) a pedagogy for listening to acousmatic music that would be centered around the listener and would not need any practice or technical aspects for him/her. This research takes place in the line of his master's work about a 'natural' narratology for music, studied around Trevor Wishart's Journey into Space, and published and/or presented at conferences since. All of his research draw from his learnings as a psychology student. This interest for perception comes from his practice as a young composer. Having finished his Computer Assisted Composition studies in 2010 at the conservatory of Bordeaux where he also attended Jean-Yves Bosseur's instrumental composition workshops, he currently follows Jean-Louis Agobet's instrumental composition courses and Christophe Havel & François Dumeaux' electroacoustic composition courses. The Observatoire Musical Français granted him a 'Terrain Formation' distinction for his first publication "Vers une narratologie 'naturelle' de la musique", and he obtained the professional jury prize at theMusiques en Courts 2012 competition for his piece for piano with real-time preparation, illustrating the short movie “Corridor". He will be junior lecturer in computer music during the 2013-2014 spring semester at the Université Bordeaux III. His instrumental aesthetic is turned towards an extended, spatial temporality, in/on which sometimes intervene dynamic gestures conceived as transcendantal objects (ex. Personnes alitées, for piano) and/or plays with matter conceived as immanent (ex. Au bois d'or ment, for amplified string trio). He will try and play with physical spae and a kind of nearly aleatoric manifestations (autonomous transcendantal units) in his next piece (J'ai donné ton nom à une pierre et tu verras la fin du monde.). His acousmatic aesthetic is also turned towards a contemplative temporality, always showing an ecological conception of acousmatic space, with a more or less evident referentiality, going from post-modernism (Death Note, Sephiroth) to a minimalistic starkness (Otōto), which he will try to reconcile with plays with matter in a space-form for his next piece (Les yeux sous l'eau). judsoN programs computers to study cognition. Software art, music, and papers have been included in shows, publications around the world since 1996. He graduated from Brown University and has a MA from the Interactive Telecommunications Program at NYU. Juxtaposition of acceptance and the aesthetic of failure. Quadraphonic allows space. Before, different times compete, now they have time to breath. Non-contextualised sound, concentrate on what is there, not what surrounds. Watch the waveform, it is total. Really, it is all there is. Ariane St-Louis is a second year student in the Electroacoustic undergraduate program at Concordia University. After obtaining a degree in Psychology she decided to go back to school to pursue her passion for music and sound. Richard Garrett (1957) is an English composer living in Wales. Richard has a particular interest in using generative processes to create electroacoustic works and is currently studying for a PhD with Andrew Lewis at Bangor University, UK. Mary Simoni is a composer, author, teacher, pianist, consultant, arts administrator, and amateur photographer. She is currently the Dean of Humanities, Arts & Sciences at Rensselaer Polytechnic Institute and Professor Emerita, Performing Arts Technology at the University of Michigan. I am a musician and sound recordist specialized in live, realistic sounding registrations in stereo and surround. Claudi Meneghin was born in Milan on 1967-07-14. He started to study classical guitar at the age of eight and organ at the age of twenty. He was awarded a MSc in mathematics in 1995 and a PhD in mathematics in 2001. He is mainly active as a contrapuntal composer. Ian Corbett is the Coordinator of the Audio Engineering Program, and Professor of Audio Engineering at Kansas City Kansas Community College. He also owns and operates off-beat-open-hats - recording and sound reinforcement, specializing in servicing the needs of classical and jazz ensembles in the Kansas City area. He has mixed and supplied sound systems for many headline artists at various venues in the US. He has given many presentations on audio related subjects throughout the USA and Europe, and since 2004 he has been a member of the Audio Engineering Society's Education Committee and has presented, mentored, and served on panels at local, regional, national and international AES events. He also writes articles occasionally for Sound On Sound, “The World’s Best Recording Technology Magazine”, and is currently writing “Mic It!”, a book scheduled for publication in early 2015 by Focal Press. Ian holds a Doctor of Musical Arts degree in composition from the University of Missouri-Kansas City. For more information please direct your web-browser to: www.offbeatopenhats.com. Serban Nichifor, born in Bucharest, Romania on August 25, 1954. He received his Doctorate in Musicology at National University of Music, Bucharest. He is the Vice-president of the Romania-Belgium, cellist of the Duo Intermedia and co-director of the Nuova Musica Consonate - Living Music Foundation Inc. Festival. He is presently a professor at the National University of Music, Bucharest. Tim Fodness is a sound artist, sound designer, and producer. In 2012, he collaborated with sculptor George Turner on the sculptural piece Bertha Mars Fossiiator (The Harmonic Crusade and So it Goes) and released an album of original compositions entitled Robert Cane's Unusual Collection. He is an assistant engineer at Duro of Brooklyn and a freelance sound designer. In October 2013, he presented a 5.1 surround sound installation at Harvestworks Digital Media Arts Center called Untitled Suggestions and So it Goes. He is currently working on a multichannel work as part of the Harvestworks 2013/2014 New Works Residency. Jason Bolte is a composer of acoustic and electroacoustic music. He currently resides in Bozeman, Montana with his wonderful wife Barbara and their two daughters, Lila and Megan. Jason teaches music technology and composition at Montana State University where he also directs the MONtana State Transmedia and Electroacoustic Realization (MONSTER) Studios. Jason’s music is available on the SEAMUS, Irritable Hedgehog, Vox Novus, and Miso Records labels. Blake DeGraw and Jeff Anderson are a Seattle-based compositional duo. The focus of the partnership is an exploration and application of the physics of sound production and perception. Jeremy Van Buskirk is the director of the Longy Computer Music Studio at the Longy School of Music of Bard College. His music has been programmed by organizations such as Alea III, Lorelei Ensemble, The Fourth Wall Ensemble, Vento Chairo, EMM, 60x60, Soundcrawl Nashville, SEAMUS, and ICMC. Recordings of his music have been released by SEAMUS and Tell-Tale Music Media. Yury Spitsyn is a musical algorithmist attentive to perception or inversely – a perceptualist inspirited by extracranial decision-making. By meta-composing he learns practicing music as ontologically sinuous multidiscipline. Which it is. Currently he is working on his PhD thesis at the University of Virginia. Arnold Brooks is and artist and musician. His sound work takes as its starting point the treasure trove of possible field recordings in New York City. A major component of his audio work is using a simple hack to transpose entire sound files into a single static two-dimensional visual image, which is then altered using image-based software. In other words he can draw, type, apply gradients, and uses other layers of static transposed sound to mash up the two sounds into one sound. JÖRG LINDENMAIER, is a composer born 1968 in Heilbronn, Germany, and currently living in Berlin. He studied at the University of Music Karlsruhe with Wolfgang Rihm and Thomas A. Troge, and at the Academy of Media Arts Cologne. Buddy Lorentz is an undergraduate student at Santa Clara University. Buddy is from San Francisco and is a guitarist, singer, producer, and DJ. Steve Reinthal is a composer, producer and improvisational music artist. Lecturing in Film Sound and Sound Design at Griffith Film School (Brisbane) for 6 years, Steve’s dedication to the integrity of high quality audio production is mapped across a variety of technical fields including the design and construction of several recording studios, research and development for the Australian Broadcasting Corporation (Radio) and as label manager for ABC Music. Steve's early career in music established him as a successful session player in Sydney, Australia, working with premier bands, artists and composers. To further expand his musical knowledge and technical abilities, Steve moved to Hollywood CA, for twelve months where he attended the Guitar Institute of Technology. As a solo artist Steve has released 3 CDs of original music and performs around Australia and, more recently, in the USA. In Spring Time is an extemporisation performed on a Steinberger GL2T guitar utilising the Transposing Tremelo system, recorded on a Yamaha AW4416 and mixed in ProTools at the Griffith Film School cinema in Brisbane Australia. The goal is something like a live performance while still playing all the parts, on all the instruments myself. This creates a writing environment I think of as time traveling improvised performance. The melody and lead part is played on a Zarod (pronounced Zar-Ode), a type of fretless electric guitar descended from the Indian Sarod which we designed and build at Music Inn World Instruments. This instrument lets the player bridge the sound of eastern music, classical strings and modern electrified western guitar. The vocal slides and harmonics of the instrument are its strengths and are the reason I have adopted it as an integral part of my musical voice. Time points an honorary shot of Chedorlaomer and the hopes that which and you from child, by themselves the ancient mother and deed, and blow the island of currency. Abimelech said, I have everything. Shortening; and thunders, uttered a brother and uttered a cat skillet and fold the flood of Yahweh the man. It's hard on June on the birds of Earth. Actually numerous love, in China. Josh Simmons’s music is a fusion of sounds from contemporary mainstream music and forms and practices of Western art music. Josh’s piece’s have been performed by many ensembles, to name a few; mise en abyme (2012) was performed by the Bowling Green State University Philharmonia, and sit/switch/static (2011) was read by the Toledo Symphony Orchestra. His pieces reflect the flat landscape of Northwest Ohio by often becoming static, gradually changing reflections of the material. Samuel Pellman has been creating electroacoustic, microtonal, and other unusual sorts of music for nearly four decades, since his undergraduate study at Miami University in Ohio and his doctoral study at Cornell. Many of his works can be heard on recordings by the Musical Heritage Society, Move Records, and innova recordings. Recently his music has been presented at the International Symposium of the World Forum for Acoustic Ecology in Melbourne, Australia, IRCAM in Paris, the SCOPE Festival in Basel, the KYMA International Sound Symposium in Vienna, the International Astronautical Congress in Capetown, South Africa, the Musicacoustica Festival at the Central Conservatory for Music in Beijing, the WOCMAT festival in Taiwan, and the ICMC in Perth. Pellman is also the author of An Introduction to the Creation of Electroacoustic Music, a widely-adopted textbook published by Cengage. At Hamilton College, in Clinton, NY, he teaches music theory and composition and is co-director of the Studio for Transmedia Arts and Related Studies (STARS). Further information about his music can be found on the web at: http://www.musicfromspace.com. Simon Belshaw has studied composition with Gavin Bryars and Andy Hugill. He completed his PhD at the University of Hertfordshire in 2005. For the past few years he has been working on a project titled Music Machines. Music Machines have developed from his interest in process, systems and generative music. Each machine explores a single idea; some are simple, some more complex. More recently he has developed the machines for installation or live performance; they have been heard at the Hilltown New Music Festival, AudioGraft Festival, NonClassical and York Spring Festival of New Music. Jaeseong You is a New York City-based composer. Earning his B.A. in Music and Political Science from New York University and en-route M.A. in Music Composition from City University of New York Graduate Center, he is currently a doctoral student of Music Composition at New York University, Steinhardt, working extensively with Tae Hong Park. You’s academic interests lie in quantification of perceived amplitude and audio-based music analysis. Having studied with David Olan, Richard Carrick, Douglas Geers, Arthur Kampela, and Tae Hong Park, You actively composes both electronic and acoustic music. His acoustic works have been performed by ensembles like MIVOS Quartet, Talea Ensemble, Cygnus Ensemble, and American Modern Ensemble among many others. As an active player in ElectroAcoustic music scene, You reviewed works for ICMC 2013, and his electronic works and papers have been featured in important festivals and conferences like SEAMUS 2013, IEMF 2013, NIME 2013, USF New Music Festival 2014, and Mise-En Music Festival 2014. You is currently Editorial Manager of Journal SEAMUS. Composer, guitarist, educator, filmmaker, Douglas DaSilva is Artistic Director of the Composer's Voice Concert Series and Premiere Salon Concerts. He is dedicated to promoting new music and living composers His extensive work with children keeps him sane; giving him the opportunity to share his love for music with future generations. 1988 in Leipzig, living in Berlin/Germany. Studied musicology and media at Humbolt-University Berlin, currently studying media at Potsdam University. After playing in diverse bands, he got into electronic and electro-acoustic music. As producer, musician and DJ he's interested in blurring the boundaries between dancefloor oriented and listening music. Released several EPs with the electro-acoustic duo Meier & Erdmann. Runs the record label for diverse electronic music Moniker Eggplant. Composes sound works for art exhibitions (i.e. recently for a project at the greek art fairy Art-Athina '13). Jamez Dean, born in Belgium and based in Switzerland, is an experimental composer and conceptual visual artist. Starting with experimental music at the age of 15, the focus changed to visual art while doing a bachelor in photography. Due to some contacts made by music photography, he collaborated musically in some side projects in other genres of music (techno, metalcore, industrial, drum&bass,…). The interest in experimental music started again by a class on sound art while doing a master in 3D multimedia. After that a huge amount of time was spent on self-study in composition and electronics. And the focus was put on experimental music & visual arts and its combination. John Kehoe is a multi-instrumentalist and is a member of a couple of bands. He also composes when he can.